Similar to other vinyl banners, sales banners are meant to share a message of a temporary opportunity for a business. Order custom banners for a grand opening or anniversary milestone! Sales are a great time to reward loyal customers for their patronage while grabbing the attention of new customers. These custom or pre-printed displays can come in many shapes or sizes, depending on where your company wants to post them. Business owners can use this sale as a chance to order a banner that goes beyond the brand's typical color schemes because a sale is only temporary- using bright red or fluorescent colors at this time is acceptable! 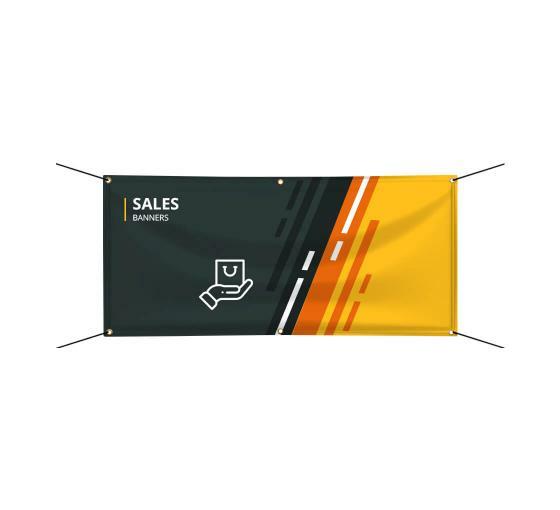 Sales banners made from BannerBuzz are made with weather- and tear-resistant vinyl.Because sales are typically short-term promotions, this means that business owners will be able to save these signs for many years. 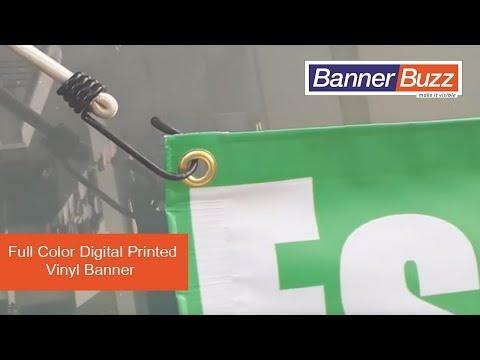 Order custom banners from BannerBuzz and they can handle use year-round. At BannerBuzz, your can order custom banners from our large collection of pre-printed banners to expedite the delivery process. Those who want a customized sale banner may use our web application as well. Everyone loves a great deal and our massive printing house guarantees that your sales banners will come at the lowest price in the industry. If not, we will match a competitor's price and give an additional 10 percent discount because we want you to get a great deal too! Whether you choose pre-made sales banners or a custom made display created by our design team, it doesn't matter. When you order custom banners, we back our guarantee and also offer a complimentary free art proof prior to printing the banners.